Wittlebee Box Giveaway – Win a 3 Month Wittlebee Box Subscription! Who Wants to Win a 3 month Wittlebee Box Subscription? We have been talking about Wittlebee for quite a while now – and we think it is an amazing deal on kids clothing. Each Wittlebee Box has around $100 worth of clothing for just $39.95 per month. But of course we have a special Wittlebee discount for you! We made this fun video for you to show you just what a great deal Wittlebee is and how it works! Read on to find out why Wittlebee is such a great deal, how to get a Wittlebee $10 Discount, and how to enter this amazing giveaway! Wittlebee is a kids clothing subscription box. Each month you get a fabulous box of clothing, customized to your child’s tastes,wants and needs. When you join Wittlebee you are asked some questions about what type of clothing you need (colors, styles,item preferences). You even have the chance to talk to your personal stylist, or add more notes so that they can get the box just right. You can cancel or pause your membership at any time. Totally risk and hassle free. What Do You Get in Your Wittlebee Box? There will be 6 items in your Wittlebee Box each month. The value will be around $100. In the Wittlebee Boxes we have had the value has always been at least $100. If you order a box right now you can use our very special link to get your first Wittlebee Box for just $29.95 Shipped! In our experience, certainly, Wittlebee is very high quality. We have received some great designer brands including Tea Collection, American Apparel, Crazy 8 and Tiny Whales. Wittlebee are introducing new brands all the time, including Trish Scully, Kate Quinn Organics, and Sage Creek Organics. The fabrics on the clothes have been high quality and have worn well and been washed many times now. 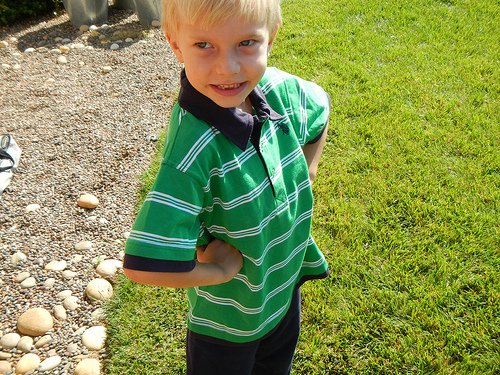 My son’s have really enjoyed their Wittlebee Clothes (who knew that they could be so excited to get a box of clothes)! What we also love about Wittlebee is their customer service, and our readers tell us they love it too. If you have any questions or issues just contact them and they most definitely do everything they can to help. We have a 3 month Wittlebee Subscription to Give Away! That is almost $120 retail value – and you will win around $300 worth of kids clothes. Wittlebee are very kindly sponsoring this giveaway, and have provided us with their clothing boxes to review. How to Enter: Simply click on the link and follow the Rafflecopter instructions below…. This sounds like a great giveaway! I love the idea of less shopping. I’d love to win this for my son! Sounds pretty cool, and easier than fighting crowds while trying to shop! I’d love to win 3 months!! 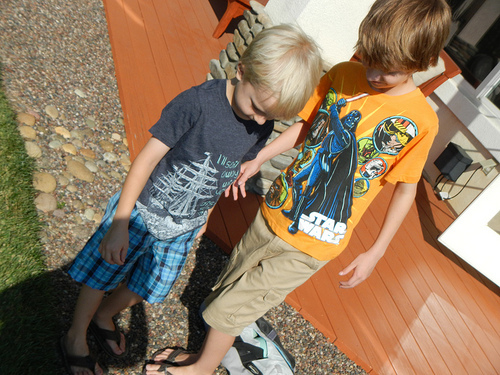 I’m addicted to dressing my two adorable little boys! I’d love to win 3 months to Wittlebee from Dealectable Mommies!!! I’m addicted to dressing my two adorable little boys! I love getting new clothes for my boys! This would be fantastic for new baby coming in Dec. My other son was a spring baby! I’m excited to get my first box soon! What cute clothes for baby girls and boys! Thanks for the giveaway! They have some really cute clothes! This sounds like a fun way to get stylish and affordable children’s clothing! OMG – we could SOOO use this! My Grandson is growing like a WEED & since I am out of work, we can’t help like we wish we could – this would help my DIL so much! (Holly) Keeping my fingers crossed, thanks for the chance! I’d gift this to someone! I seem to be missing a bag or two of clothes for my younger son. This would be great to fill the gap! Very cute box idea, definitely different from a lot of the other subscriptions services out there! Thanks for the information and the chance to win. I have never heard of this! what a great idea! Thank you for the giveaway! I am always looking for good quality clothes for less! Looks like a great deal and a fun surprise every month! Excited to learn about wittlebee. Thank you! This would be great. I’ve got two little girls, but one is bit of a tom boy and one is a girly-girl that loves dresses. It’s tough to just pass down clothes since they are so different, so this would be great! I would love to win this for one of my grandchildren! I would love to win. All the pictures of the clothes I have seen are adorable! Oh I think this sounds like such a wonderful idea!!!! I’ve never heard of this service! Sounds so cool, thanks for the chance to win. I love surprise boxes in the mail! Great giveaway! Was just talking with the hubby yesterday about cleaning out my son’s dresser… He has NOTHING that fits anymore! Time to shop but this would be great to win for him! Thanks for the opportunity! What a great idea! I’d love to try out this service. I would love to win! I’ve got a little man who is fast out growing his clothes! Would love to win for my little guy, such an awesome service! Wittlebee is awesome! I never want to shop in an actual store again! I have been wanting to try this service. Thanks. Fantascit give away! I’ve been wanting to try it out, would be awesome to win and find out how great it is! awesome! heaven knows we go through clothes like crazy here! How wonderful! I love the idea of getting surprise clothes tailored to your baby’s style. Very cool. This would be awesome for my 3½ yr old daughter! Loved waiting for my box to see what was included. Such a fun surprise! This looks amazing. Would LOVE to try it! Would love to win…awesome giveaway! This would be great to win, I’m in need of fall and winter clothes for my 3 year old! Thanks for the opportunity in this giveaway. Great giveaway — thanks for the chance!! I would love to win this for my girls! Thank you!! Having three young children this service looks like a really good concept…thanks for sharing! This service sounds like a great deal on clothing for my children! GREAT GIVEAWAY! SOUNDS LIKE A COOL COMPANY. What a super cute giveaway! Thanks for the chance! My sister in law just had a baby and was team green so she needs some clothes. I am so glad I read your blog. I never heard of this company. It seems fantastic!! The “leave a comment’ section is blank, so I just want to say that this is an adorable idea and a great way to try new brands! What an awesome giveaway! Perfect for kids who grow out of clothes fast. I got my first box last month and LOVED it! Wish I could afford to continue getting them! How much fun is this! It’s like shopping coming to you! Then you don’t have to deal with kiddos in the store saying, “I want! I want!” But it’s still something they can get excited about! How fun would it be to get new clothes in the mail every month? Love this idea! My son needs more clothing! This would be perfect for my sister. She has a 5 yr old and is expecting. This is a great concept! Thanks for the chancwe! Would love to win! I love getting fun stuff in the mail! Great giveaway! Great idea! Perfect clothes! my boys would be so so happy! Omg I’d love to win this for my daughter!!!!! New clothes every month sounds amazing! this would be great for my lil one! What a GREAT company and EXTRA GREAT giveaway! id love to win this for my nephew! I’d love this!! Thanks for the giveaway! Thanks! Love the idea of this! Cute clothes! My little boy would love these! I would love this for my 3 yr old son. He’s growing so fast and could really use some new clothes. This service looks great! what a great contest! I’d love to try this! I love the idea of this! This would be great to try first! This looks like such a great idea, and what a wonderful mix of clothes! This looks like a great deal! We live in a very rural area and rarely get to go too far to do our shopping, meaning not much of a selection. How fun this would be! this is perfect fpr my girlfriend new baby! This looks like a great way to get kids clothes, especially for infant who don’t stay in one size for very long and I have a 3 month old! What a cool idea! This would make such a neat baby shower gift. someone to do the shopping for me? awesome! What a cool idea! It seems that it would be easier to get $100/worth into a box for big kids, though, than babies. Thanks for the giveaway. I would love to win!!! This is a really good idea. My son would love getting new clothes. This is such a great idea! I would love to win this for my 3-year-old daughter! My big guy is so hard on his clothes, nothing lasts to be handed down to my little guy! This service is a great idea. With growing kids clothes are always necessary!! This is really neat! I’d love to win! would love this! Such a cute idea!! LOVE Wittlebee! we’ve used them occasionally and have always loved the quality of the clothing :). I’ve been reading about this, to win a trial would be fantastic!!! I would love to win this for me, just to save me from bringing my toddler out shopping. I love this giveaway! It would be so nice for my nephew! My daughter is a single mother and I would love to win this for her to help with clothing for my granddaughter! what a great idea.. perfect gift! This would be great to win all these little clothes, I know exactly what to do with them!! A good surprise for someone! Thanks for the Contest! Have a great day ! i would love to win this AMAZING giveaway, clothing 3 boys can get expensive! I’d love this fo my little one!